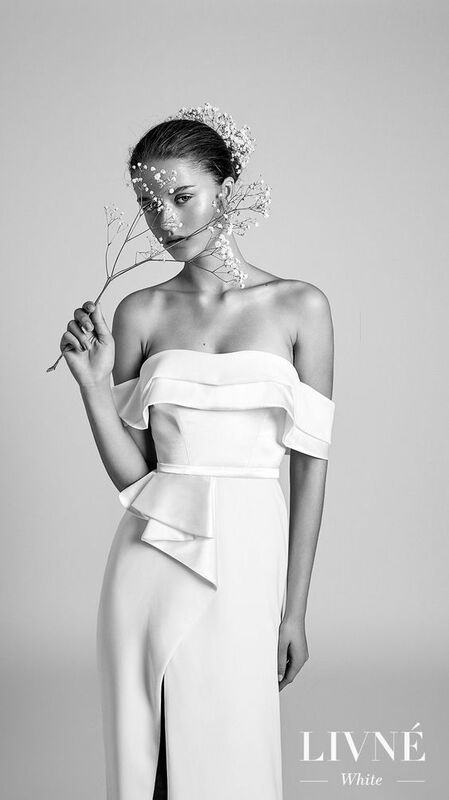 Thinking of going for a modern bridal dress? Here is some inexpensive wedding dress inspiration for the modern bride. Simple yet classic, this dress is gorgeously designed with a low back and a deep front slit. This look is the best choice for a spring wedding dress. It is also designed with a plunging neckline with a sheer mesh panel that subtly covers your chest. You will assuredly feel comfortable in the dress and love the way you look. Also, you will be able to try on the dresses so you can be sure it’s the right fit. Wedding dresses start at $950. Jones dress is a special wedding dress for modern brides which is designed with high-quality white cotton material. V-neck shape is flattering, with a firmly packed breast-cut to make you feel comfortable. It is designed with a sleek fit that flares just at the hem to give you an easy and convenient movement while your hip curves are not left hidden. The front seaming just at the front bodices attached to the flare accentuate the waist and keeps it firm. Wedding dresses start at $120-$198. 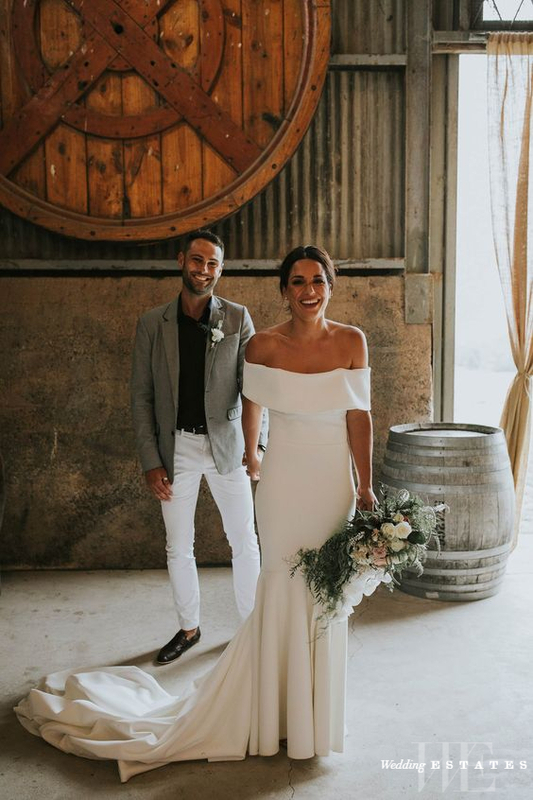 Trinity jumpsuit wedding dress is the right choice if you need a classic but yet simple wedding dress. It gives you the freedom to dance and be completely comfortable. Also, it’s fitted sleek front bodice allows you to open your legs widely. You don’t have to be too self-conscious on your wedding day, you are free to engage in any funny activity that makes you happy and yet looks sophisticated. Trinity jumpsuit is designed with an adjustable tie strap that allows you to creatively tie and adjust to your taste. Wedding dresses start at $280. The Campbell skirt, when used with the Campbell top, makes a perfect combination for a modern bride. This skirt is also designed with a unique high-quality lace material with an A-line shape that flares at the hip. Also, this skirt shows a classic display of your hip curves and silhouette. The Campbell skirt starts at $550.